A North Belfast fireman who runs marathons for charity is urging local people to follow his lead and lace up their running shoes. Neil Mercer completed the Belfast City Marathon in May and is currently in training for the upcoming Belfast City Half Marathon. 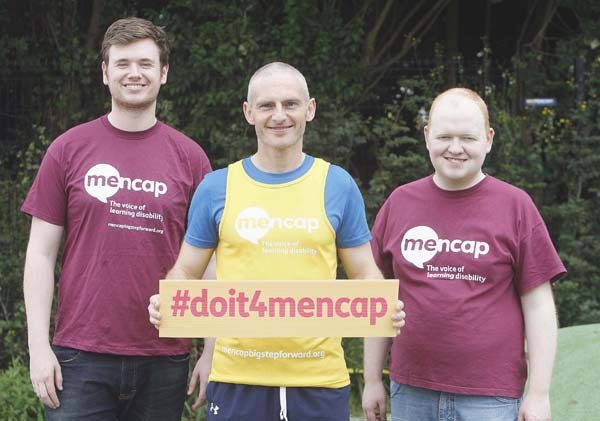 The Ballygomartin man works at Belfast City Airport and each time he takes on a running challenge he fundraises for learning disability charity Mencap. Neil said he had a number of challenges in the pipeline. Mencap, which supports children and young people with a learning disability and their families, is the official charity of the Belfast City Marathon and the Half Marathon until 2018. Since the announcement of the charity’s partnership with the event for three years, Neil has taken a special interest in the organisation and he has shown his support through running. And Neil’s charity endeavours give him an added benefit as his job is a demanding one. For anyone considering lacing up their trainers and taking on a long-distance race like a marathon, Neil says runners shouldn’t be intimidated by the task. “A distance event like the half marathon can be daunting to many people, but actually it can be a great starting point. I think preparation is key. If you plan out your training and keep up the regime you’ll find it much easier on the day. Vanessa Elder, Head of Regional Fundraising for Mencap, said she hoped hundreds would follow Neil’s example.